The German company, which has set up its Eastern European headquarters in Vienna, achieved a sales increase of 6%. 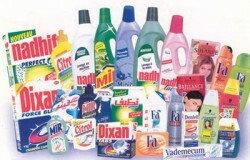 In 2010, Henkel CEE demonstrated again its strength in a recovering but still very challenging market environment. Owing to its strong brands in the consumer goods business and the recent restart of the construction industry, which benefitted the glue business, sales in the region could be increased by 6.4% to € 2,880bn in local currency.